BPN/E model monitor nozzles are equipped with electrical remote operated actuators to operate these nozzles from a distance in conjunction with electric control panels. The discharge pattern is simply adjustable between solid jet stream up to 120° wide spray. BPN/E model nozzles are driven by simple electric moto-redactors with mechanical limiting devices. On request, C.S.I. S.r.l. 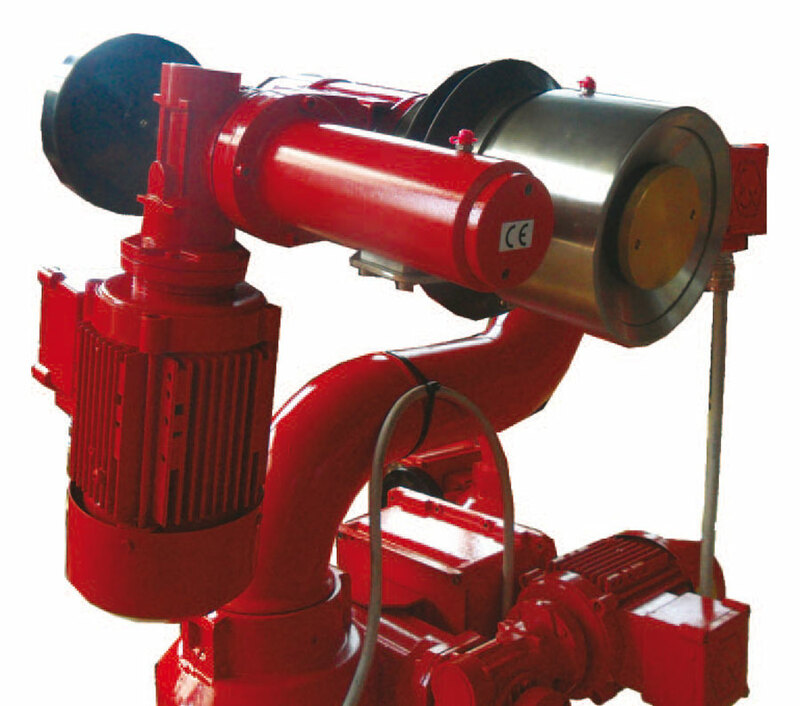 oﬀers intelligent AUMA® electrical actuators with additional features such as position transmitters where complex ﬁreﬁghting solutions are needed. All BPN/E model nozzles are equipped with an emergency hand wheel to operate the nozzle manually. C.S.I. S.r.l. produces electrically operated selectable discharge pattern nozzles with up to 30.000 l/min ﬂow rate.